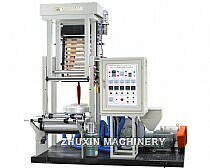 1.double color single screw film blowing machine . SJ-45DX2X500(600) double colour film blowing machine is used for blowing the various low density polyethylene(LDPE)and high density polythlene(HDPE)colour striped plastic film,etc,which are widely used for packing food,fruit,garments, textile,dailly necessities and other civil and industrial products. The cylinders and the screw stems of model SJ-45Dx2 extruder are made of high -quality alloy steel with optimum hardness and strong corrosion resistance after precision finishing and nitrogen treatment. 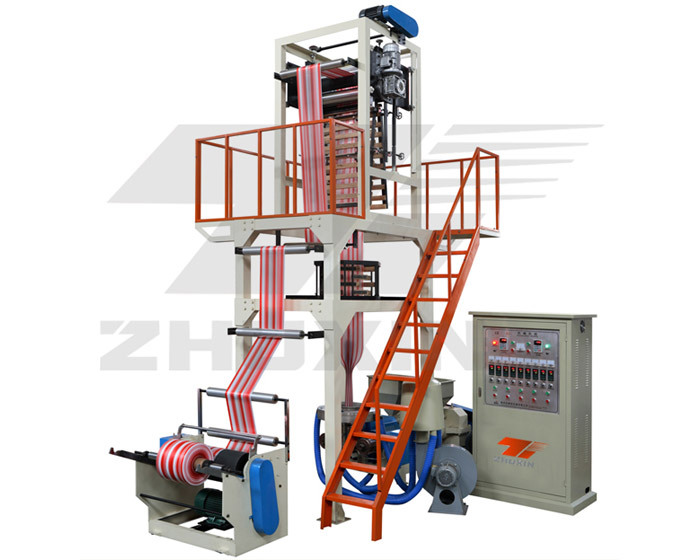 SJ-600 the auxiliary machine can be freely adjusted within the limits of 700mm according to the technological requirements of different materials,and has is fitted with a plug-in plate mechanism for making vest bag. The coiling unit adopts torque motor to keep proper tension and make rolling even and roll-changing easy. 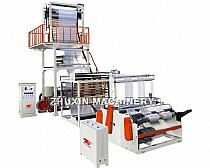 We are Double Colour Stripe Film Blowing Machine suppliers/manufacturers from china factory . 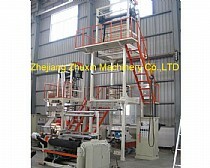 We also can produce the Double Colour Stripe Film Blowing Machine according to the client’s requirement. We are always try our best to become the good Double Colour Stripe Film Blowing Machine, stripe film blowing machine, film blowing machine, martket bag film machine, double color film blowing machine, plastic film extruder manufacturers/suppliers and welcome the customer from all over the world to contact with us.